These days virtually everyone carries a cell phone around with them. In fact, I can’t think of anyone I know who doesn’t have their phone with them wherever they go. The bottom line is, people really love their phones; they are willing to pay a small fortune just so that they can have the very latest model, and the spending doesn’t end there either. Most people also want to have all the latest accessories, including things like screen protectors; phone covers; spare batteries; power banks; phone holsters; Bluetooth earphones, and of course, the all-new “must have” Selfie Stick. As you probably already know, all these accessories cost money, but if you shop wisely, you really can find some particularly good deals. Wireless Emporium is just one of many popular online retailers specializing in cell phone accessories for virtually every make of phone currently on the market. Their website really is worth checking out, even if you don’t intend buying anything right now. They honestly do stock an almost infinite range of accessories and their prices are great. Naturally, if you intend buying anything from an online retailer, it is always best to try and find out how trustworthy and how reliable that retailer really is. The best way to do that is by reading testimonials and reviews such as this one, keeping in mind that Wireless Emporium review has been written based on the opinions of many past customers. Wireless Emporium has been in business since 2005, but back then it was nothing like it is today. Instead, it started out as a tiny kiosk located in Main Place Mall in Santa Ana, CA. These days, Wireless Emporium is clearly an industry leader when it comes to cell phone accessories. According to their website, the company’s primary goal is to offer high quality accessories at very affordable prices. Over and above having a phenomenal range of products available, the company has also become well known for its high quality customer service. For example, they are one of only a few companies to offer FREE Return Shipping if a customer needs to return any of the merchandise they have purchased. Vast product range – Regardless of what make and model your cell phone is, you will almost certainly find a really good range of suitable accessories. The only exception being that you might not find certain types of accessories for very old phones, and for phones which are not generally available in the United States. Site is easy to navigate – The Wireless Emporium website is VERY user friendly. For example, you can browse by category (type of accessory), or you can browse by brand name. If you browse by brand name you are taken to a page showing all supported models, and then you simply click on whichever one is relevant to you in order to view all available accessories. Excellent customer service reputation – There will always be some people who believe they were treated unjustly, but I can say with confidence that this company appears to have built up an excellent reputation in terms of their customer service. As I have mentioned earlier, I have done a ton of research, and negative reports relating to customer service have been far and few between. Returns and refunds – Virtually all online retailers offer “money back” guarantees, but you can bet your bottom dollar that there is almost always some sort of catch. Some companies will only offer you an exchange rather than a refund if you decide you aren’t happy with your order. Others will refund your money, but they will deduct a certain percentage known as a “restocking” fee, and you have to pay the shipping costs. Wireless Emporium appears to be very transparent in this regard, and I was not able to find any hint of “penalty” fees and etc. They even pay the return shipping if a customer needs to return their order for whatever reason. Shipping times not as advertised – A handful of customers have complained that while the company says it ships orders within 24 hours, they have waited 48 hours or more. In all fairness, the company does not guarantee shipping within 24 hours. Instead, their website says they “strive” to ship within this timeframe. Products not very durable – one or two customers have reported receiving things like battery chargers which stopped working after only a few weeks. I can’t personally comment on this because I have never ordered a charger from them, but I can say that these self same customers have also applauded the company for paying all shipping costs and for issuing full refunds. Wireless Emporium is well known for their exceptionally reasonable prices, although it is often possible to find certain cell phone accessories cheaper elsewhere. Nonetheless, their solid reputation, along with their free shipping and hassle free refund policy makes them a very attractive option. Additionally, their prices generally reflect the quality of their products. At the time of me writing this, Wireless Emporium only ships to the United States, US Protectorates and Canada. Potential customers should take a few minutes to read through the information provided on the Shipping and Delivery page which is available on the company’s website. It explains exactly how the shipping process works in an easy to understand manner, and reading through it could help customers to better understand how long it will take for their goods to arrive. 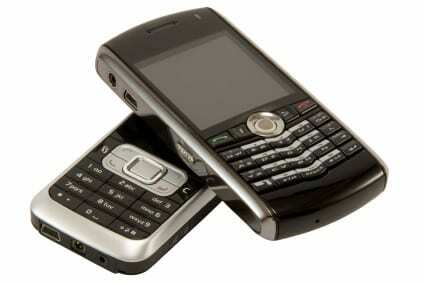 Summary Wireless Emporium has a vast variety of products for various brands and models of cell phone. They currently ship to within United States and Canada. They have very good reputation for excellent customer service. On the whole, we recommend this Company for your cell phone accessory needs.